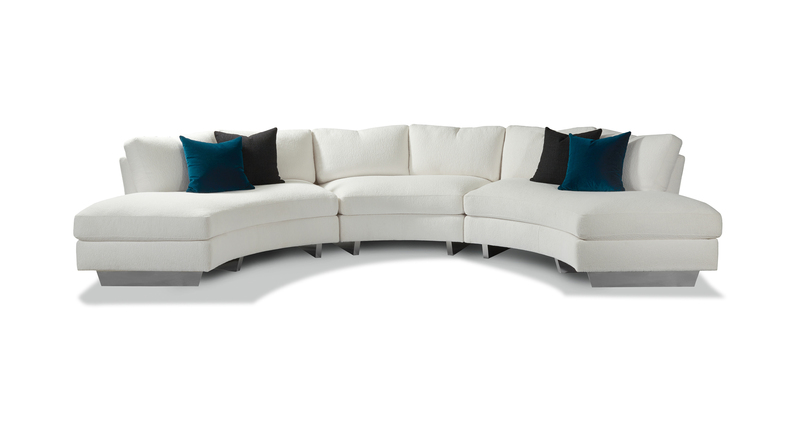 Designed by Ransom Culler, the Cool Clip 2 sectional sofa is one of our new contemporary classics. 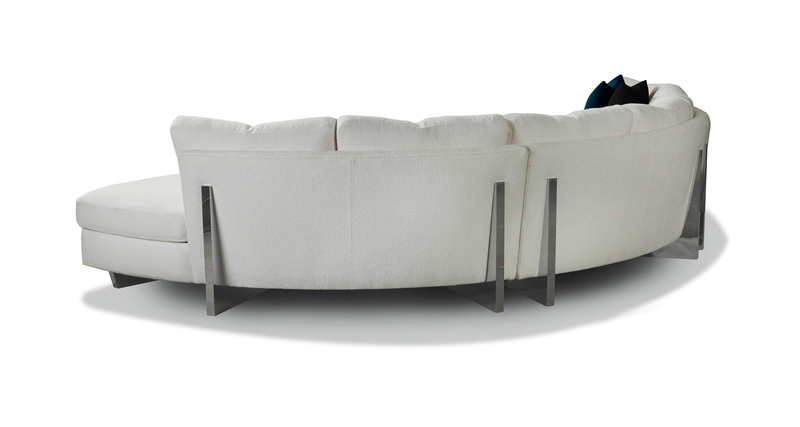 Our Cool Clip 2 series features unique "clips" that support the sofa but also give the sofa a handsome profile from both the front and back. The Cool Clip 2 modular system is also one of our super systems with a multitude of modular units to mix and match. Our curved Cool Clip 2 pieces can match with our Cool Clip 2 straight pieces, allowing for a myriad of possible seating configurations. Clip 2 features spring down seating. Select from any of our in-house curated fabrics or leathers or provide COM. Choose any TC wood finish for base and leg finish. Also available with wood legs and base as Clip 2, brushed bronze legs and base as Toasted Clip 2 or acrylic legs and base as Ice Clip 2. Our Clip 2 series features a single row of back pillows while our Clip series feature a double row of back cushions. Base and legs: Polished stainless steel. Throw pillows optional. Must specify.